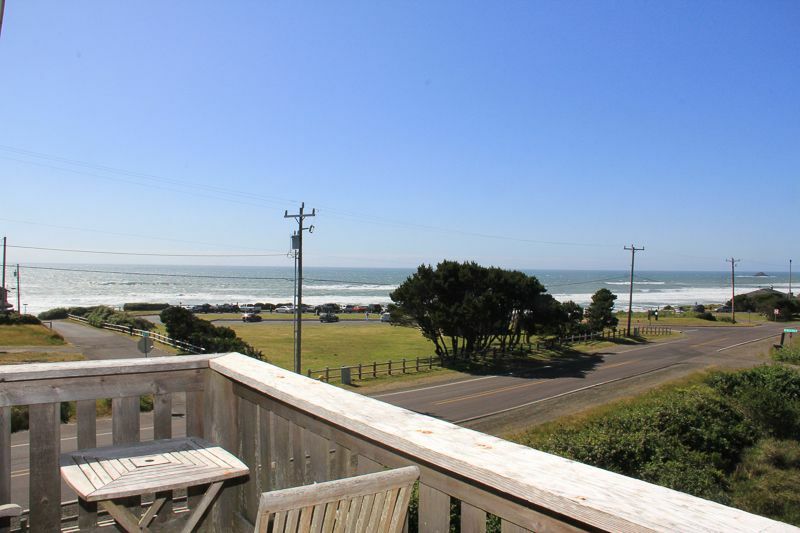 Maggies Place -Panoramic Ocean Vws, Across from Beach, Hot Tub, in Roads End. 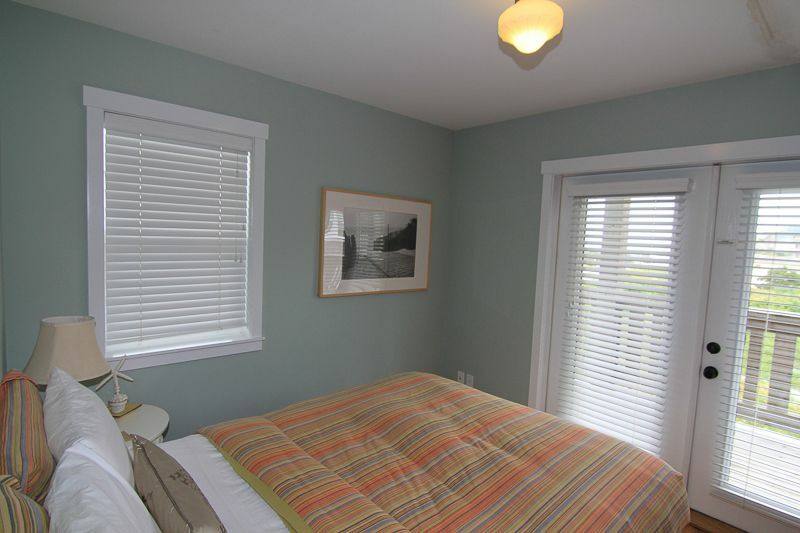 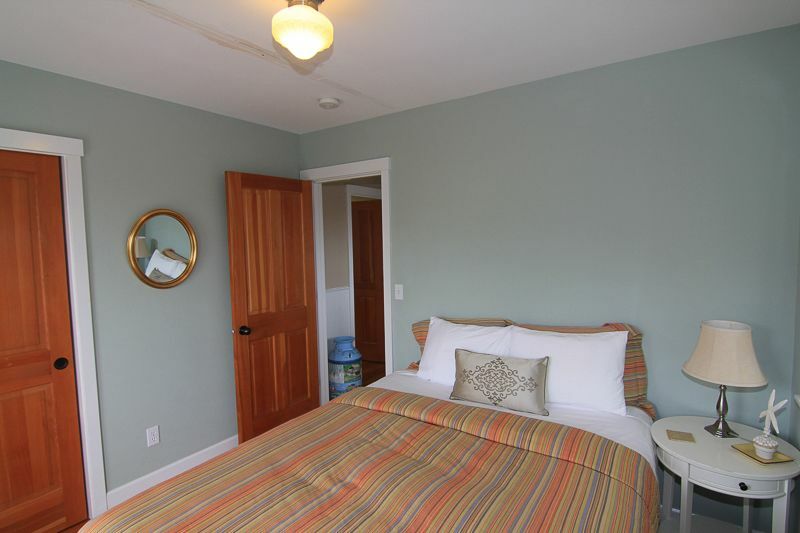 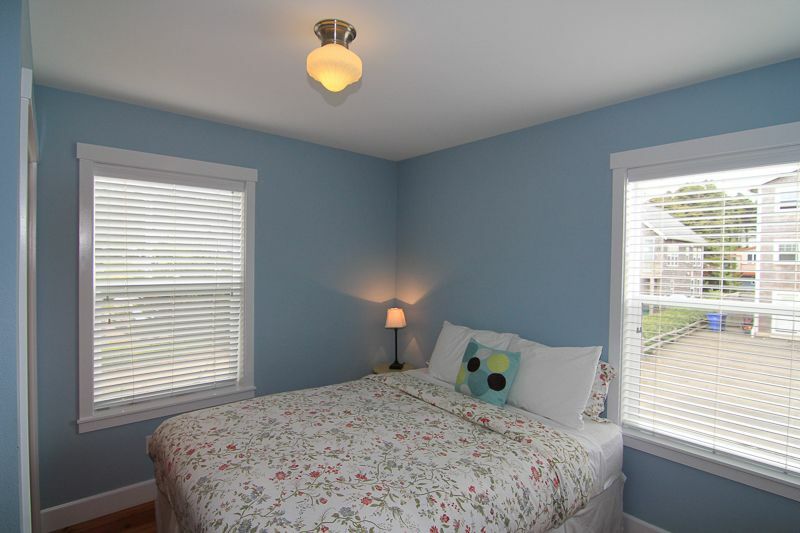 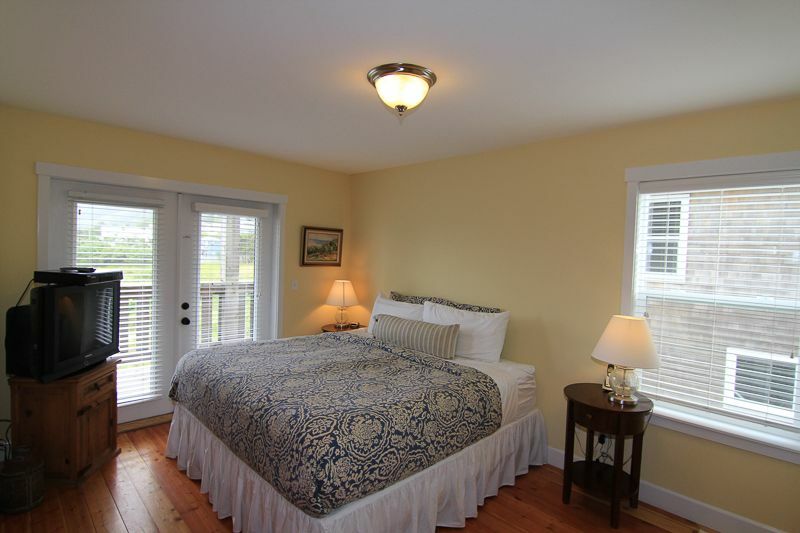 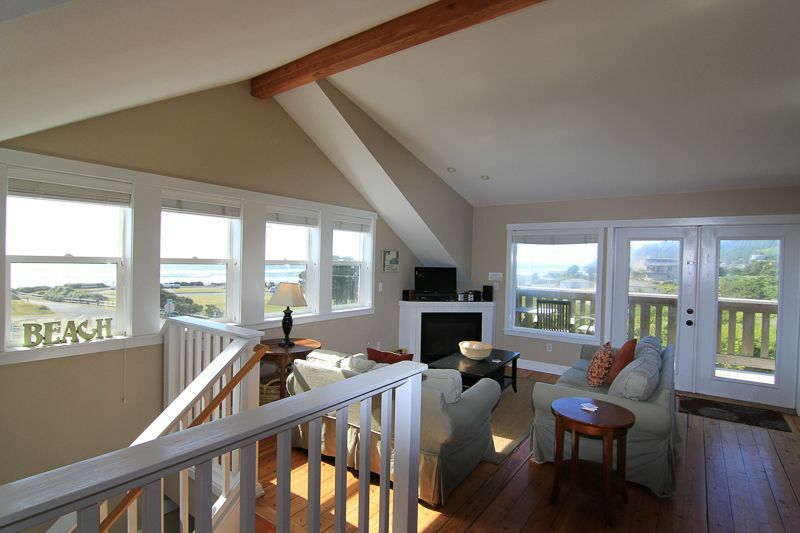 Maggie's Place Imagine an Oregon Coast stay in an elegant, comfortable home with panoramic ocean views from several covered porches and you’ll begin to understand why Maggie’s Place is such a coveted vacation spot. 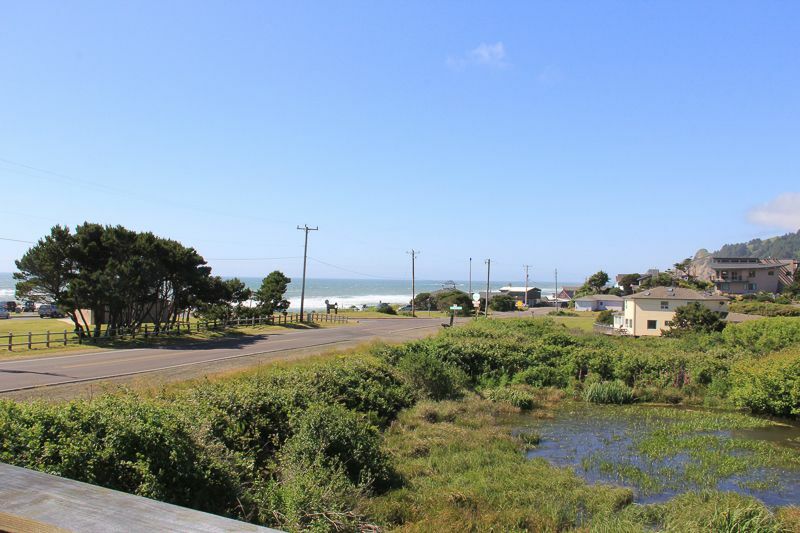 Elevated above a gorgeous wetland that is home to birds and wildlife, Maggie’s Place is also just across the street from the Roads End beach access and miles of sandy beach. 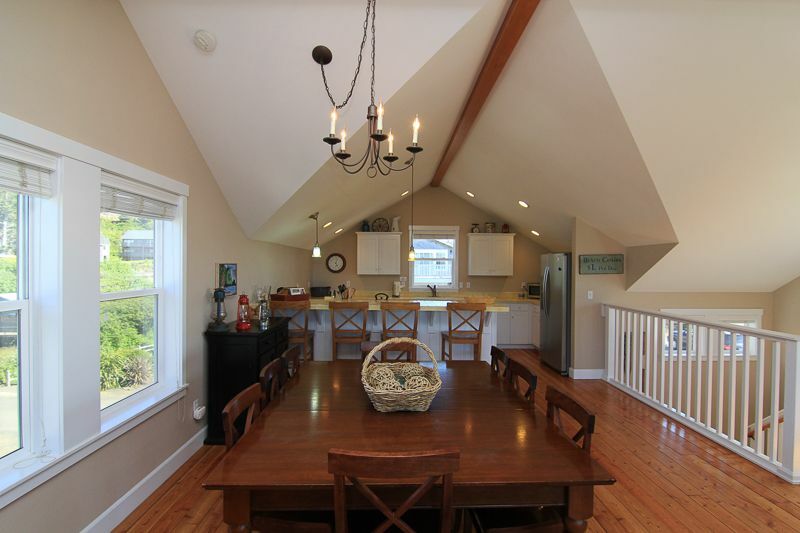 With warm wood floors, Pottery Barn furnishings in a bright, open great room with a gas fireplace, the home invites friends and family to relax and enjoy meals in the large, fully-equipped kitchen with plenty of space at the table and bar. 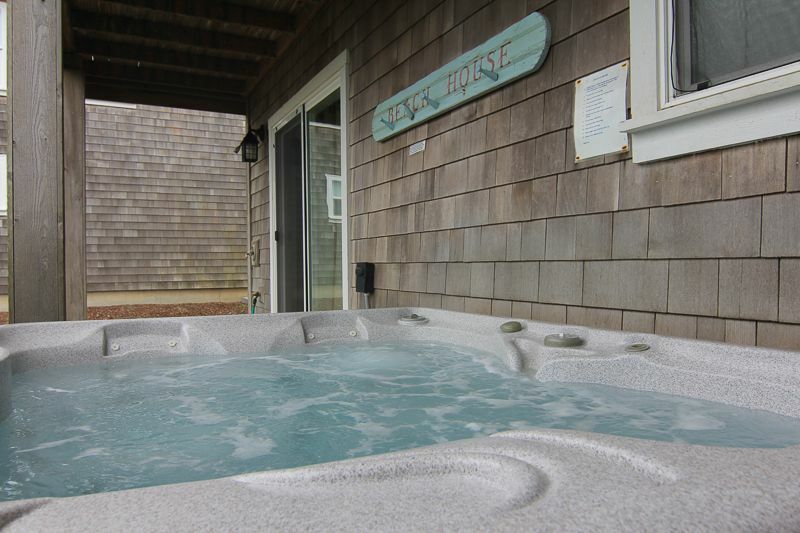 With an outdoor hot tub and a bonus room with foos ball table, flat-screen tv , DVD player and DVD library, Maggie’s Place will delight guests of all ages. 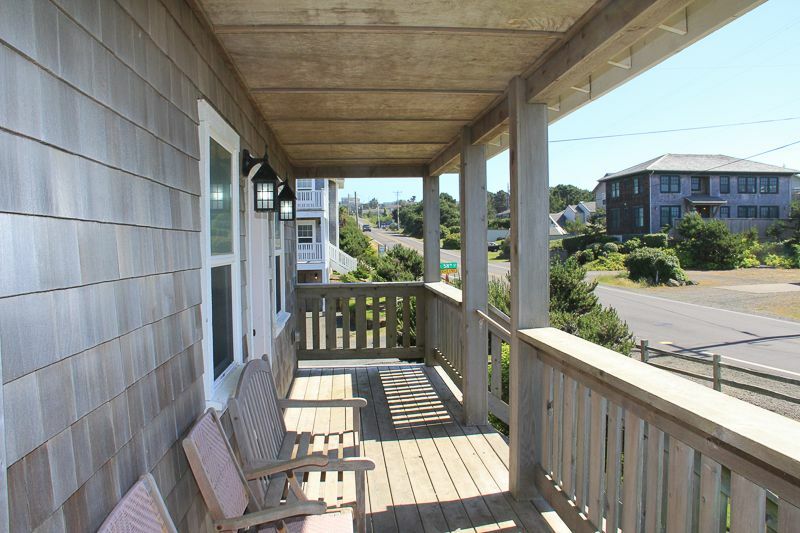 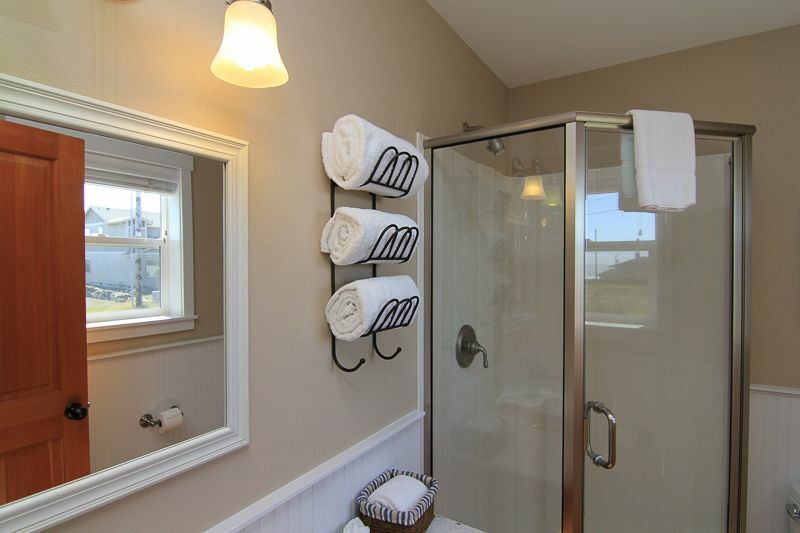 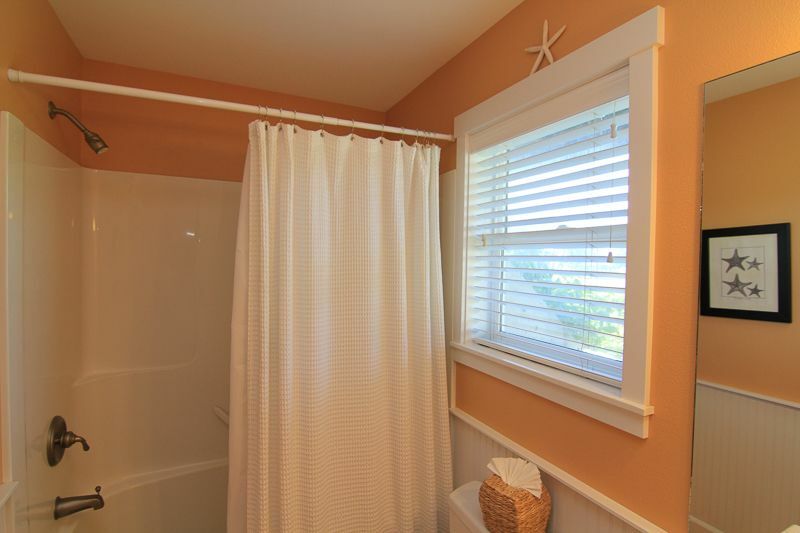 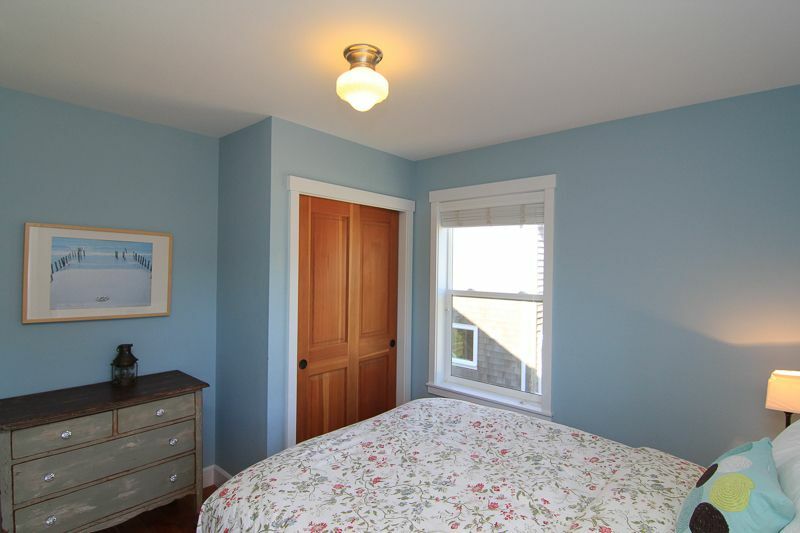 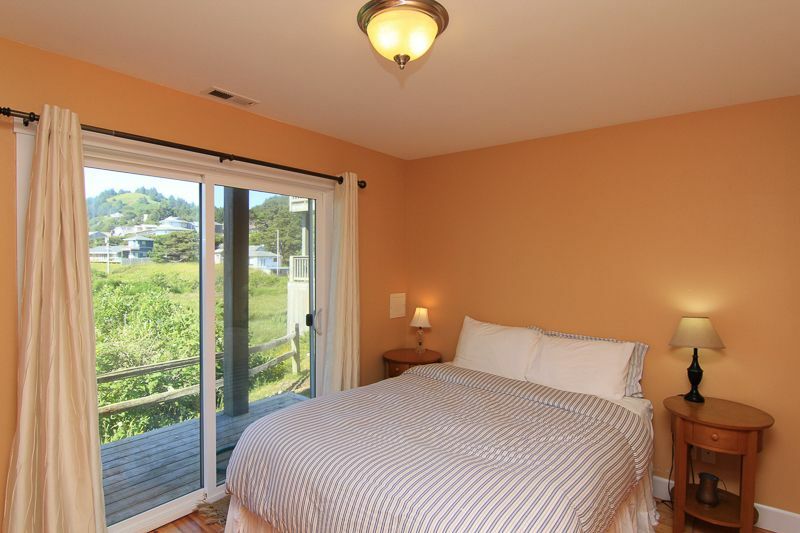 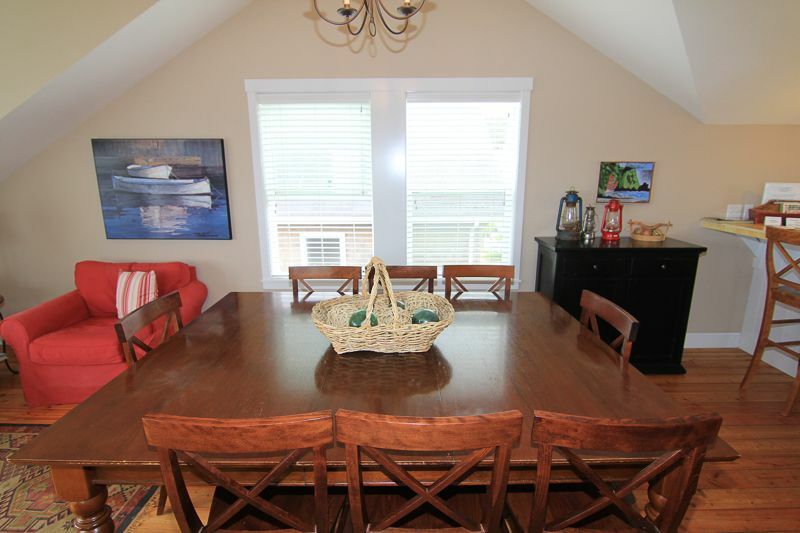 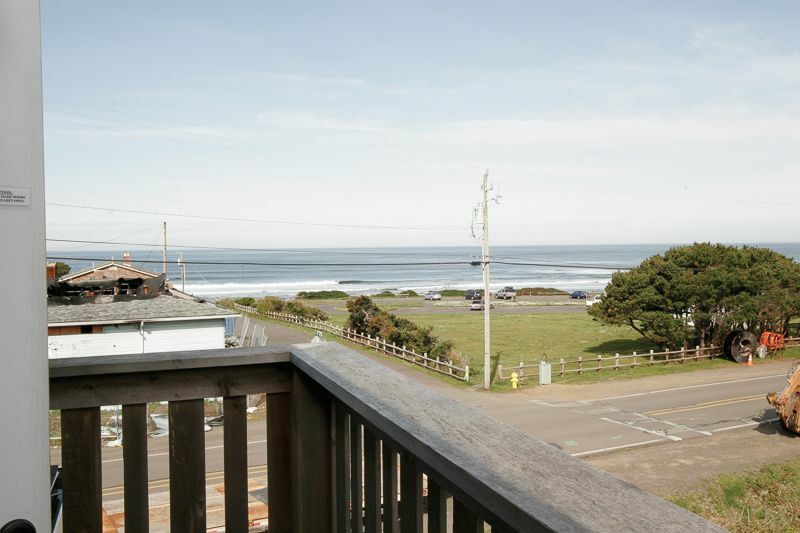 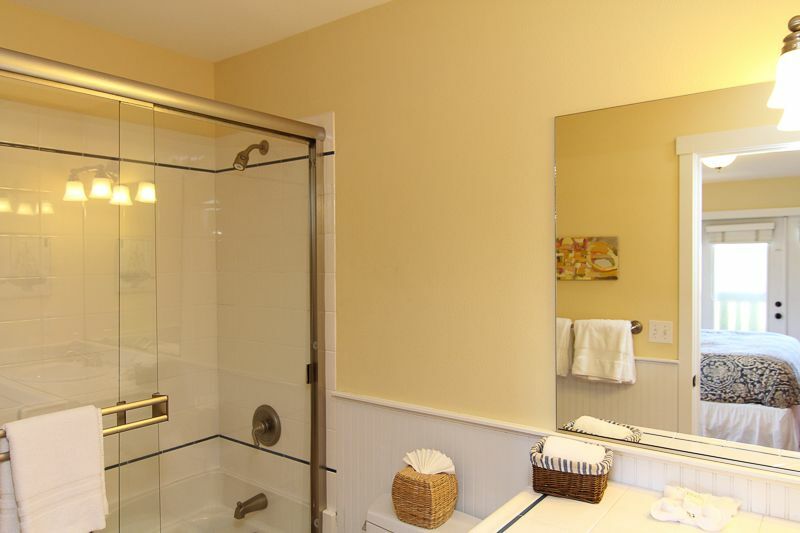 Let this carefree, relaxing vacation home surround you with the beauty of the Oregon Coast while giving you easy access to all the amenities of Lincoln City from its Roads End location. 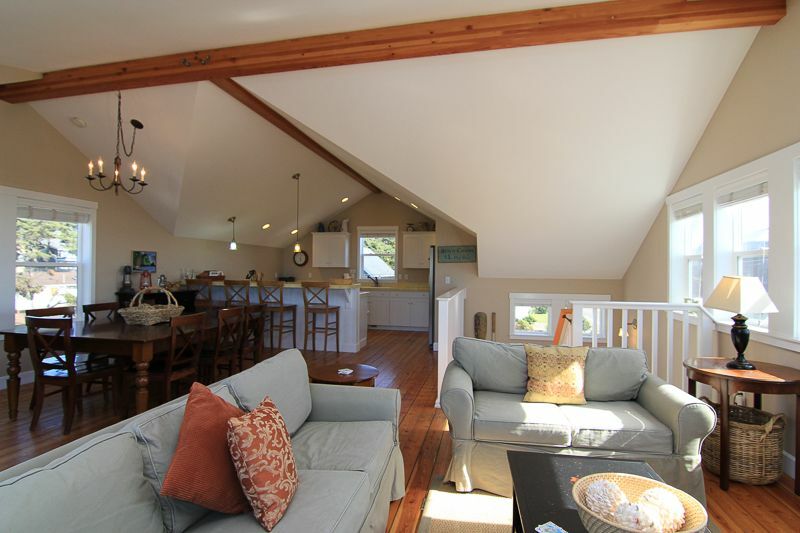 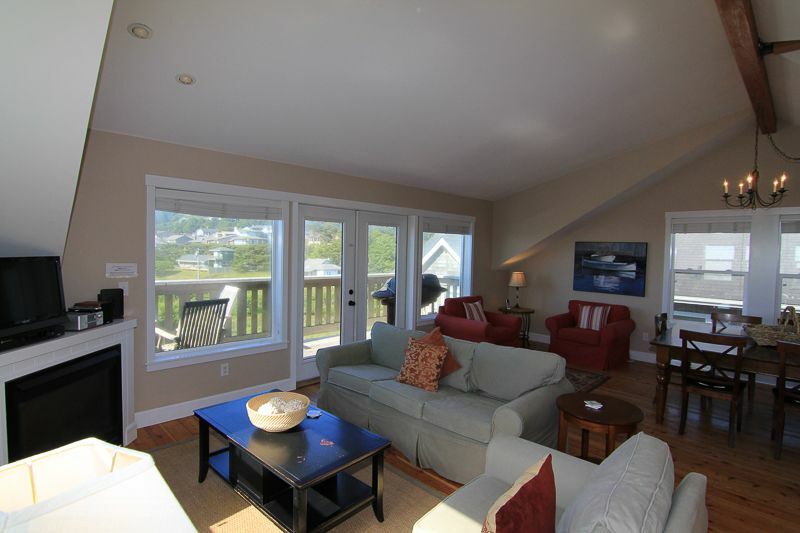 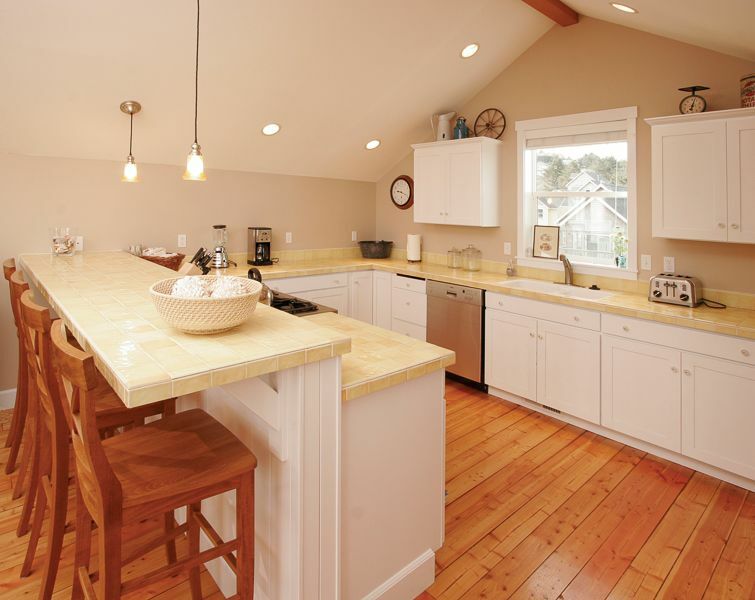 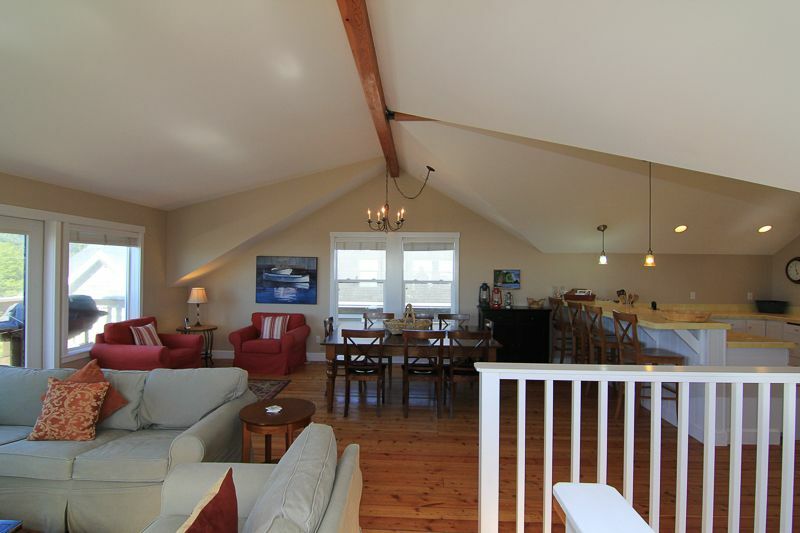 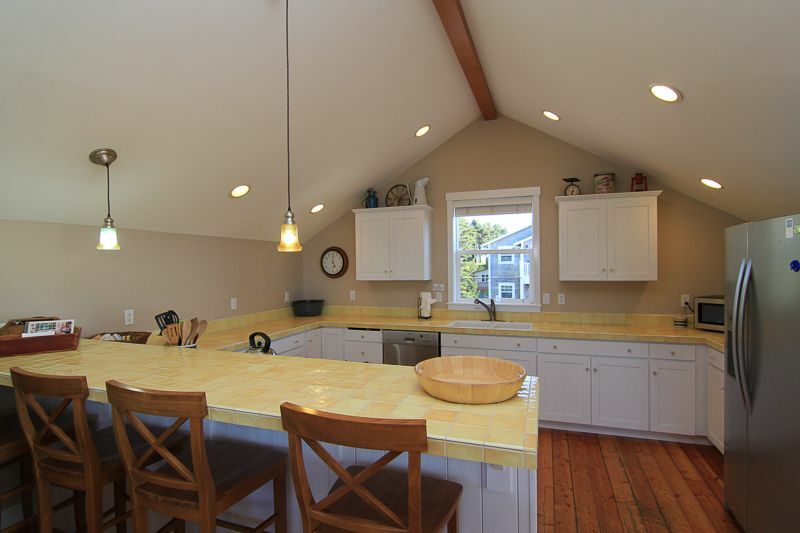 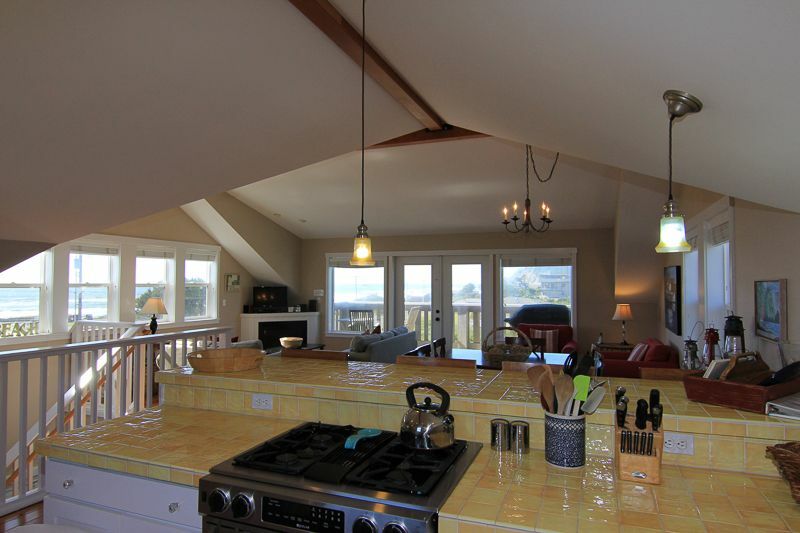 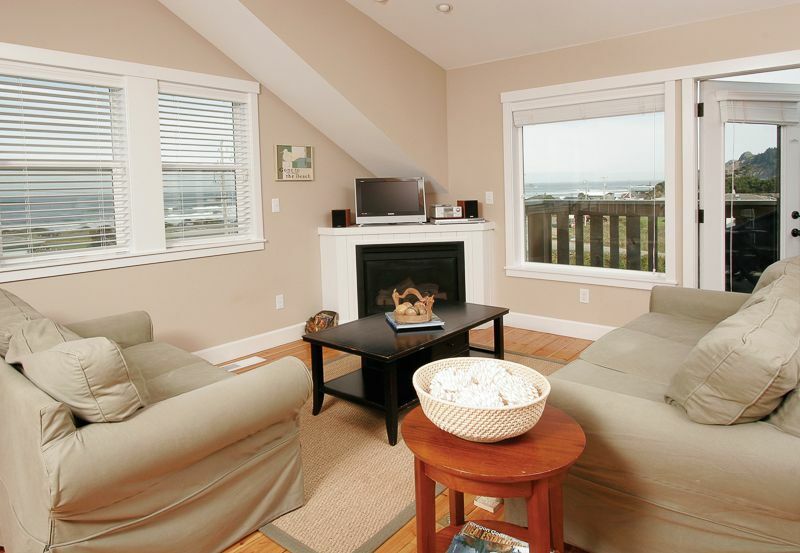 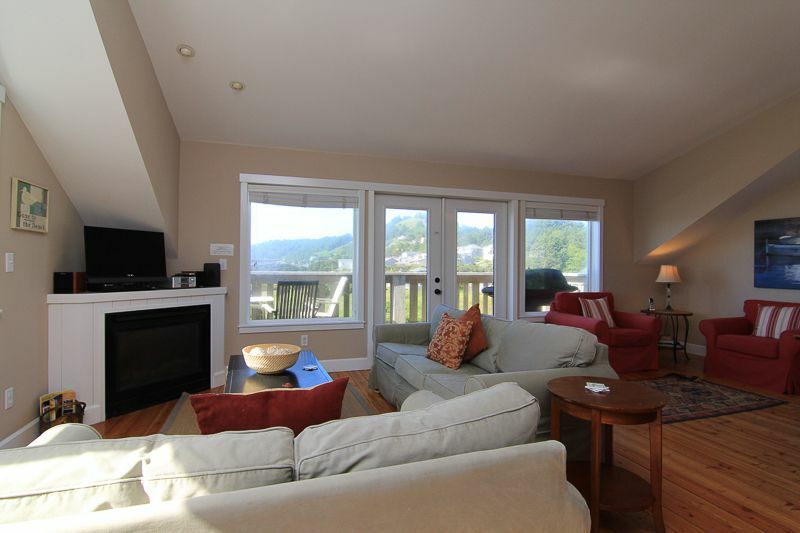 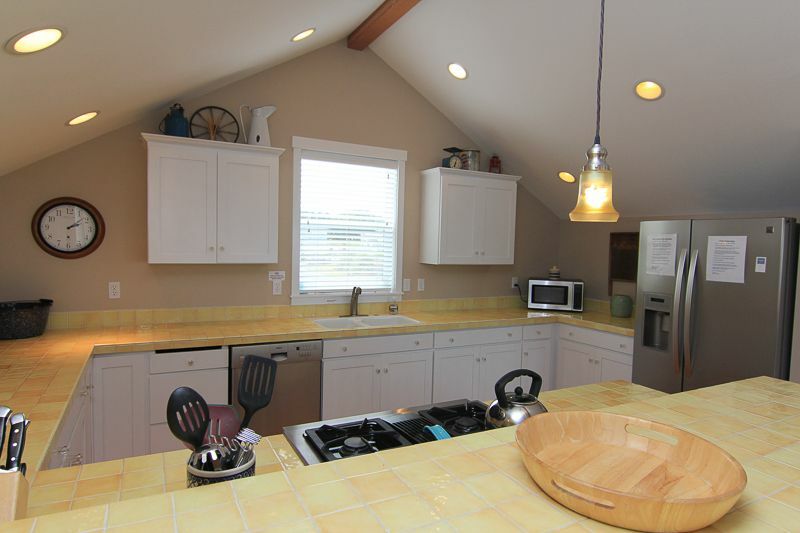 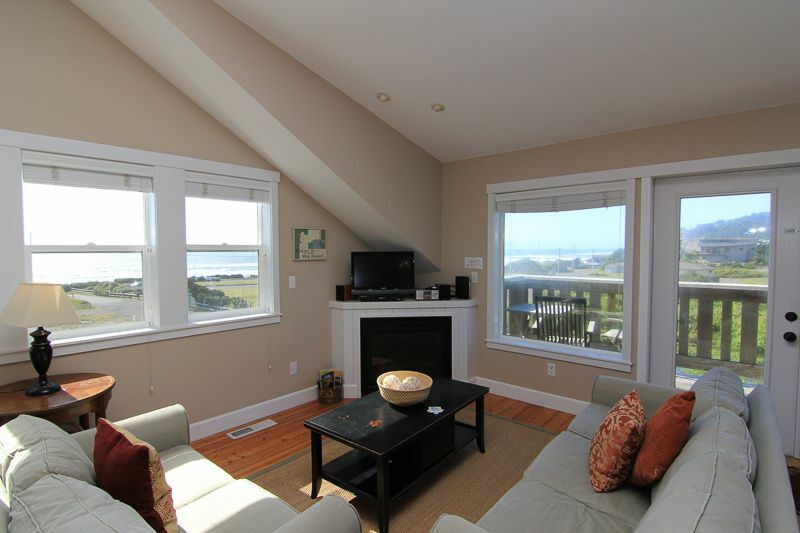 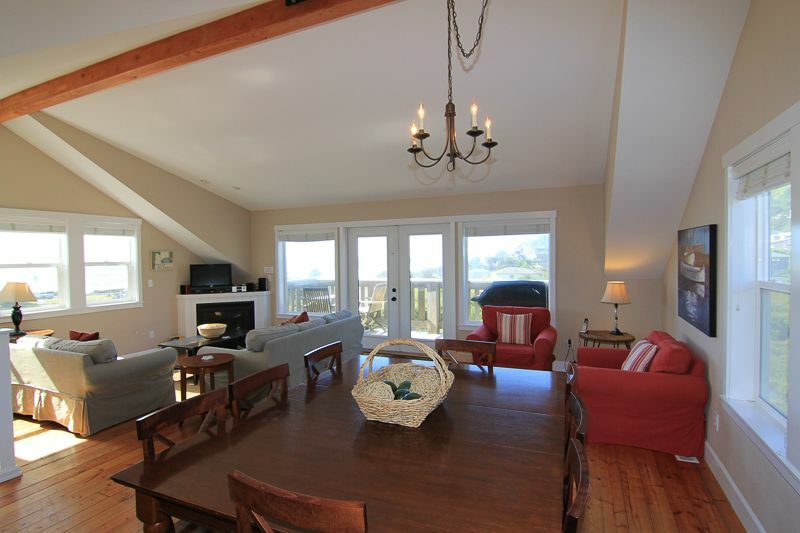 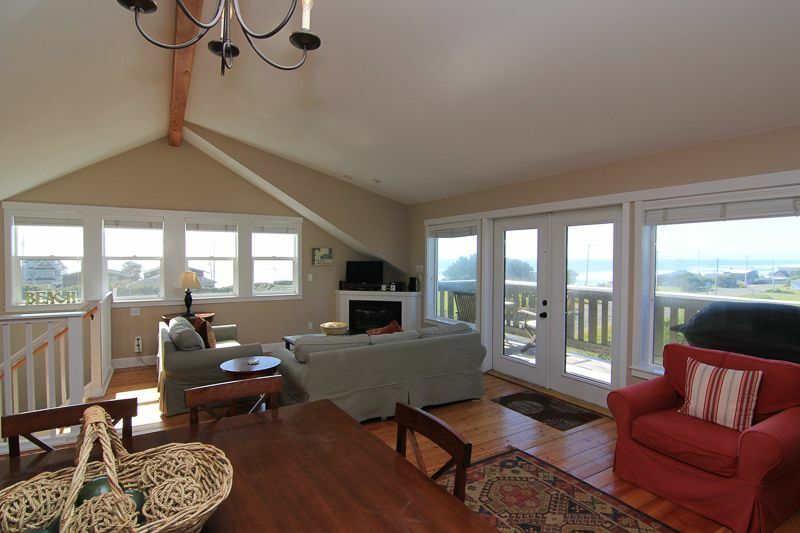 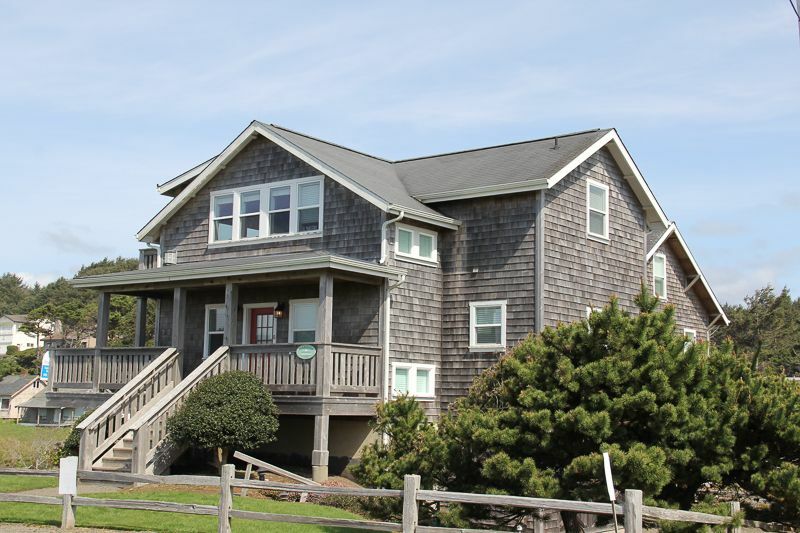 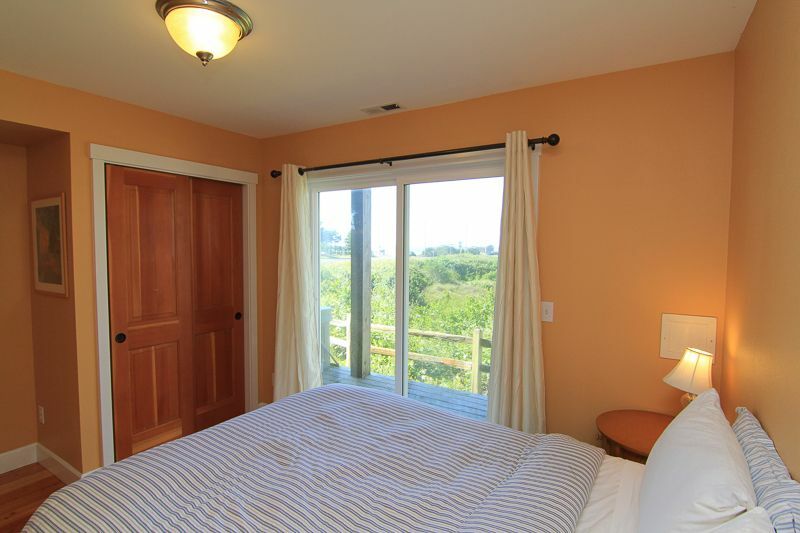 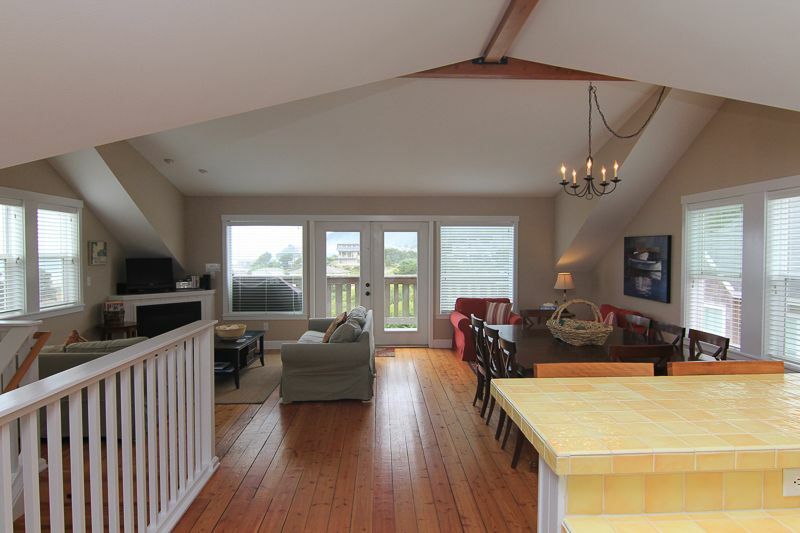 Enjoy the panoramic views of the Pacific Ocean and Cascade Head in this four-bedroom retreat called Maggie’s Place. 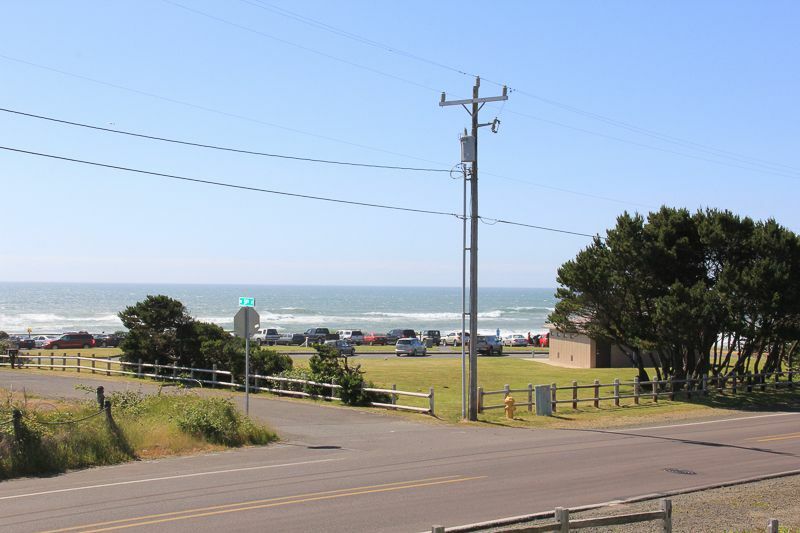 Incredible ocean views stretch north to Cascade Head and the Nature Conservancy. 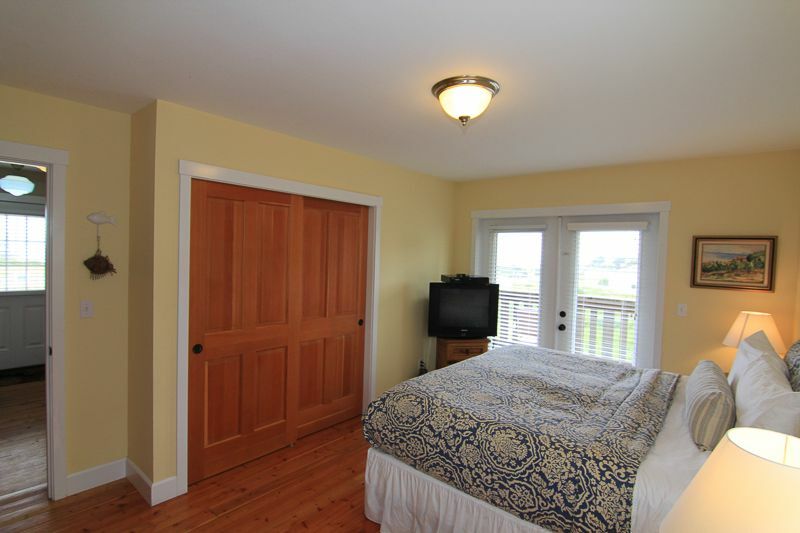 PROPERTY DETAILS: LOWER LEVEL: Bedroom 1: One Queen Bed Hallway: Full Bathroom Game Room: One Queen Sofa Sleeper, TV, Playstation 3, Arcade Game, Foosball Table Other: Washer/Dryer, Hot Tub SECOND FLOOR: MAIN ENTRY Bedroom 2: One King Bed, TV, Full Bathroom Bedroom 3: One Queen Bed Bedroom 4: One Queen Bed Hallway: Full Bathroom with Walk-In-Shower THIRD FLOOR: GREAT ROOM Living Room: One Queen Sofa Sleeper, TV/DVD Kitchen, Dining Room Other: BBQ *Each home is individually owned. 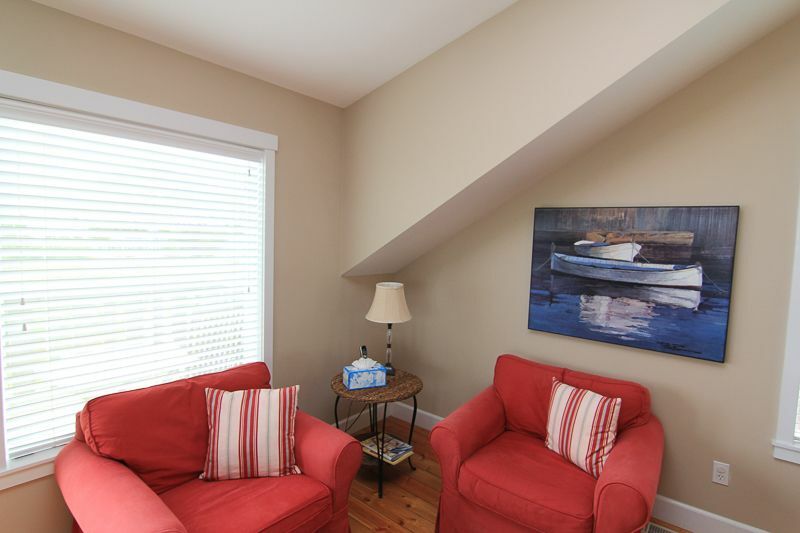 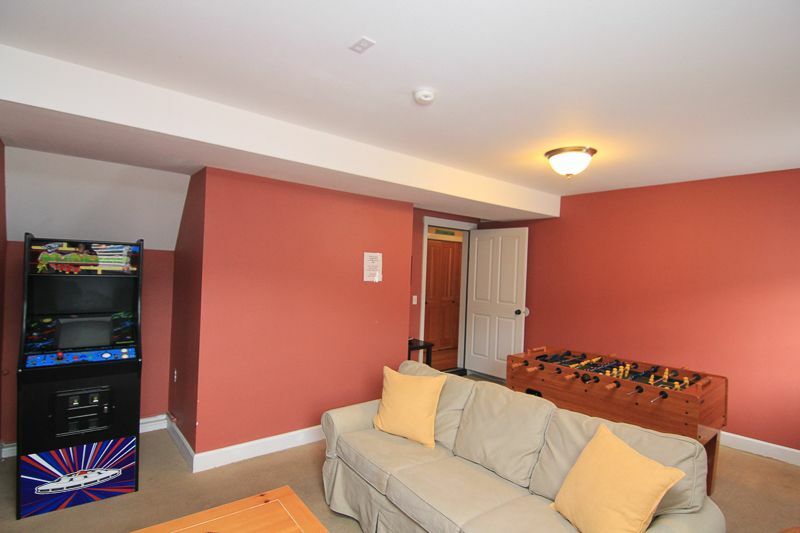 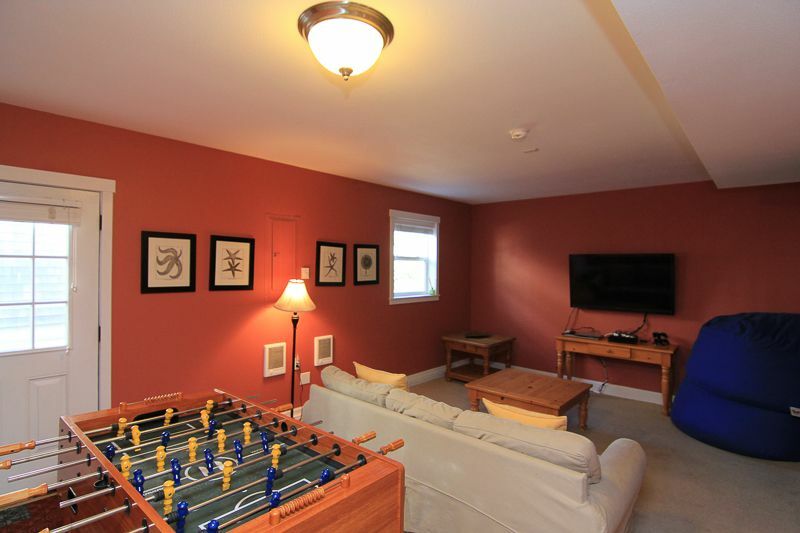 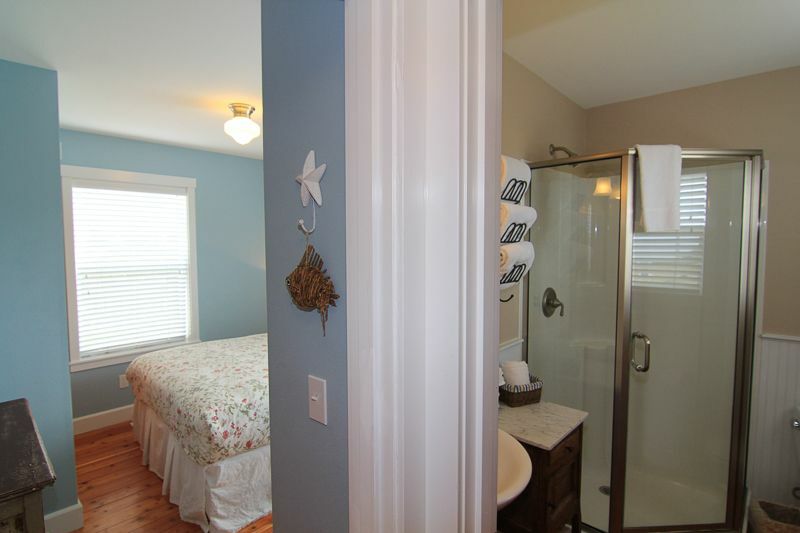 Amenities and furnishings are subject to change at anytime. 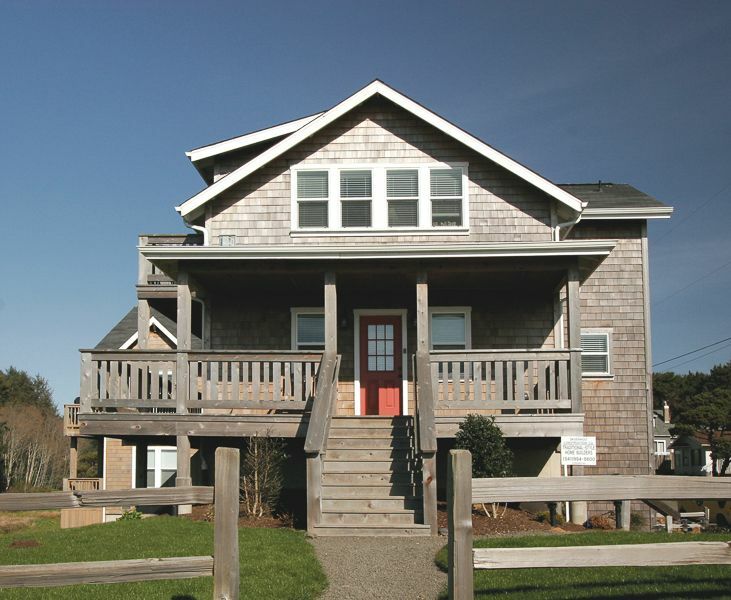 For questions on this please contact our office.